Should you find yourself with your nose to the grindstone, your shoulder to the wheel, putting your best foot forward with your head duly bowed. Then you are either playing the harshest game of twister known to man, or a slave in Giulio Cesare. In my case, this time at least, it’s the latter. Not being one usually known for his world class voice, I never dreamed I would ever actually be in an opera. I have been fascinated and enthralled by it ever since I was taken as a child to see The Magic Flute, and I am an actor, but this is something new, and rather special to me. The supernumerary role can be many things. Often it’s all standing about guarding doors, or milling about in the background, filling the space where the principals are not. Though there is some of that, this is much more fun. For one thing the five of us do have to manually rotate the truck (a rotating stage) in true slave fashion. 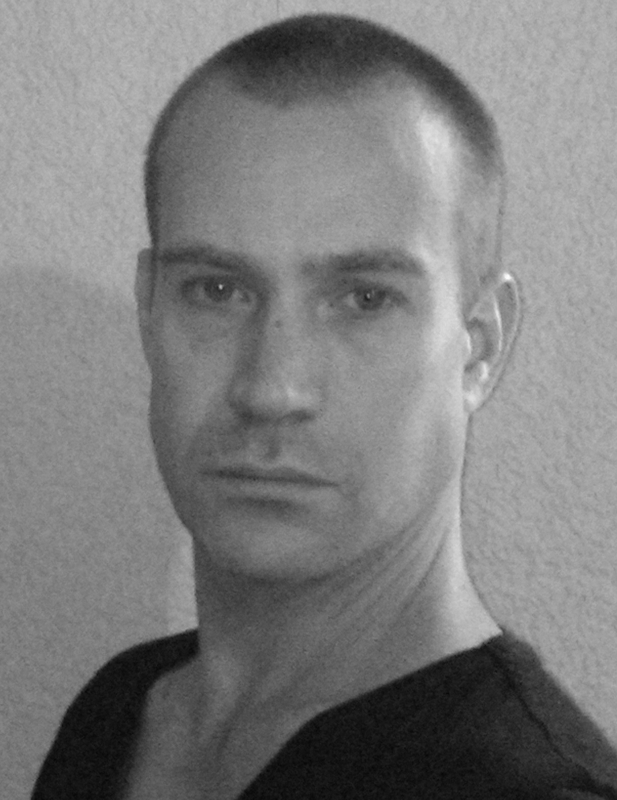 However, Tim [Albery, the director] also has the faith in us to really involve us in much of the action, which is just great. The real bonus though, is just being there when the principals sing. Opera from three feet away is an experience I shall keep with me always. As indeed is being, albeit briefly, part of the Opera North family. An incredibly welcoming and generous company that have taken us into their world. Cannot wait for tomorrow, to see what they throw at us next. I am loving every minute, will keep you posted. Giulio Cesare opens at Leeds Grand Theatre on Saturday 14 January, before touring to Nottingham, Newcastle, Salford and Dublin. For more information about this production, click here. This Autumn, 18 schools across the North took part in Opera 1 workshops and visited the theatre to see a performance of Opera North’s The Queen of Spades. The Opera 1 team received many brilliant reviews from the students who took part, and three of those have been chosen to appear on the blog. Read on to see what they thought! “Tchaikovsky’s ‘The Queen of Spades’ leaves the audience on the edge of their seats, hungry for more. The gripping plot and unusual characters give it an edge unlike any other. The story revolves around a heartbroken peasant, Herman, who is madly in love with the beautiful and rich countess’s granddaughter, Lisa. But Lisa is engaged to a prince and has to decide which path to follow that will lead her to her prince charming. “Two Russian soldiers tell Herman of a card trick that could win him every gambling match he plays and make him rich enough to be Lisa’s lover, without her status being damaged. But the only woman alive who knows the secret is Lisa’s grandmother, the countess. Mad and blinded by his undying love for Lisa, he accidently murders the countess in an attempt to gain the secret of the cards. “Upset and confused by the sudden death, Lisa commits suicide and leaves Herman lost and alone in the world. The last act shows Herman being told the secret of the cards by the countess’s ghost, and him then winning two games but losing the third -when what he thought was an ace turned out to be ‘The Queen of Spades’. He then dies tragically from madness and the opera is ended. “In my opinion, your first opera should be the one you remember for years, and I will definitely remember The Queen of Spades as a warm welcome to the world of opera. “The two lovers, Herman and Lisa kept us all guessing as they struggled to get past the obstacles that blocked them from their dreams of happiness right to the last minute, when tragedy and greed rips them apart. But the character that most had my sympathy was the countess, whose riveting performance as a faded, bitter beauty queen truly sent her out in style, leading to another flaw in the lovers’ plan. “The Opera was truly brought to life by the wonderful costumes and the simply beautiful sets, which gave the opera a glamorous feeling without overshadowing the major talent that was on display. “But the opera wasn’t all tragedy and heartbreak, the rousing drinking song at the end brought a feeling of companionship and cheer to the bleak reality of the story, only to be extinguished by greed, envy and pride. “The score fitted perfectly with the emotions felt as we watched the lovers struggle, and most of the singing certainly did the music justice. The countess was mesmerising, but the relationship between Herman and Lisa felt blank and tired, and their stage presence didn’t quite have the sparkle that Dame Josephine Barstow as the countess brought. “The lighting was exceptional, telling us who to look for in a crowd, and adding to the suspense of the more dramatic scenes. Newcastle, cannot be described as anything other than a resounding success. The production, directed by Neil Bartlett, was performed stunningly by a highly able cast, lead by Tenor, Jeffery Lloyd-Roberts who portrayed Herman, the man driven insane by love, jealousy and desire in this tale of twists, turns, deception and of course, the gambling of life. “The plot was based on a novella by Russian author Pushkin, but rewritten for the opera by Tchaikovsky. Despite being set in 18th centurySt Petersburg with an array of varied characters, the cast presented the plot so that it was highly understandable yet not overly simplistic. Members who should be highly commended were Orla Boylan, portraying the female lead and love interest of Herman, Lisa, whose character’s feelings and emotional development were conveyed stunningly; and of course, Dame Josephine Barstow, playing the countess, whose vocals, though mature, were none the less crisp, powerful and the vocal control she has is unbelievable, with a sense of fragility mirrored by no other in the cast. “However, it is not only the cast who are to be so praised. The costumes used throughout were perfect for the context, and also displayed subtexts of scenes and of characters (for example, the vulnerability and truth of character we feel from the countess during her death scene is increased by her change in costume). The scenery was also highly effective, being minimalist, yet versatile, as well as the lighting which was used to great advantage throughout the production. On top of that, the orchestra performed brilliantly with the cast and presented Tchaikovsky’s score beautifully. Opera 1 is a programme of creative workshops run by Opera North’s Education team aimed at introducing young people in secondary schools to the art form of opera. Students work with a team of professional artists on a range of music, drama and design activities before seeing a production performed at their local venue. Find out more about Opera 1 here. Opera 1 is kindly supported by The Hedley Denton Charitable Trust, The Joicey Trust, The Sir James Knott Trust and the Whitaker Charitable Trust. Education is a very broad term and means different things to different people. 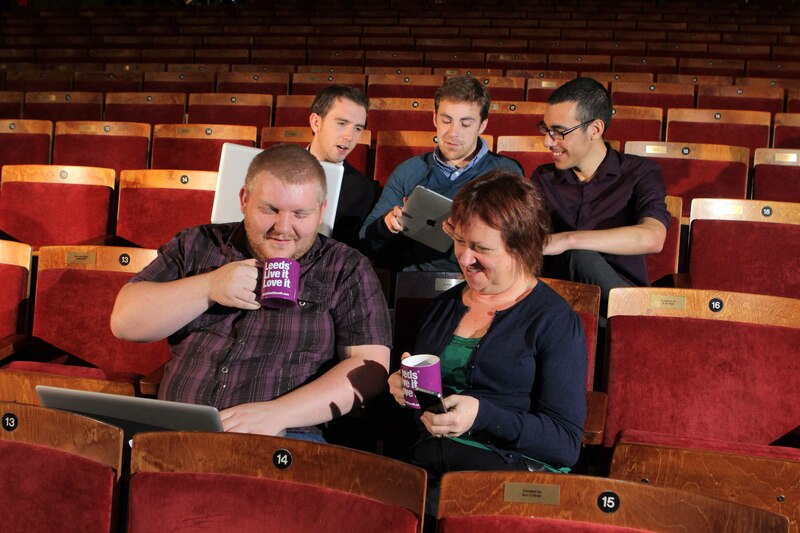 At Opera North we believe in creating opportunities that engage people from cradle to grave. Our two newest projects illustrate our commitment to young and old. Our Little Voices project sees parents and their children aged 0-4 flocking into weekly sessions which get them involved in music and movement activities which are both fun and educational. Children develop a sense of pulse and pitch, and each week we have a listening session at the end where we dim the lights and listen to a snippet of opera! Little Voices is one of our most over-subscribed projects and it’s wonderful to see so many children being introduced to music so early on in their lives – let’s hope they carry on enjoying it for a long time to come! Our work with older people is in partnership with Bradford District Care Trust, and we hope to explore the power of musical reminiscence for those with Alzheimer’s disease. This is an incredibly important and interesting area of research and delivery but is also a very sensitive subject, so we will be treading carefully and seeking lots of support from the experts. From an academic point of view there is the opportunity to look into how and why music can be helpful to those suffering from AD – research shows that music heightens responses in AD patients allowing better attention and improved memory, and that the parts of the brain which process music may be spared by the disease. Away from academia, our work is important for the simple fact that it is a fun session which gives the participants an engaging activity which makes them feel more confident and generally better in themselves. There are many other new projects this year, and our established programme continues to inspire people all over the North. Our partnership with Streetwise Opera continues, and is due to grow to include work with the homeless in Leeds and the North East in addition to the existing programme in Manchester. 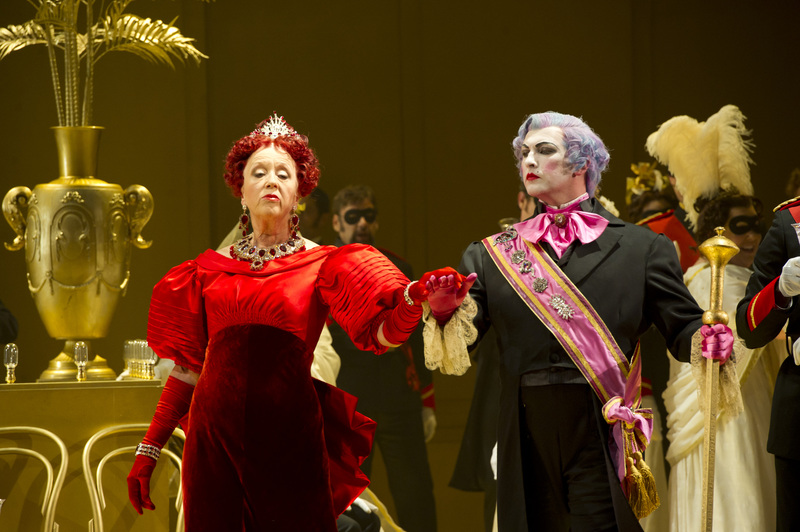 Thousands of children will see their first opera this year whether that’s Queen of Spades or Cautionary Tales (which tours the north in March 2012). We continue to train local teachers and artists in order to ensure that as many children as possible are coming into contact with good music-making opportunities. 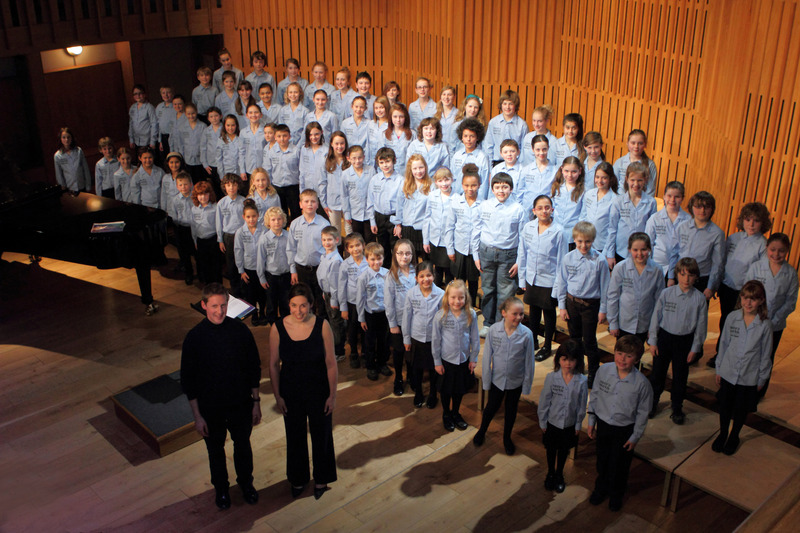 Our extensive out-of school programmes continue throughout the year, spearheaded by the Opera North Children’s Chorus – 90 children singing together is a phenomenal sound! Any child aged 7-13 is welcome to audition. Come and hear them in their debut alongside the ON Orchestra and Chorus in Dewsbury on December 21st. The Christmas concert will take place on Wednesday 21 December at 7.30pm at Dewsbury Town Hall, as part of the Kirklees Concert Season. For more information and to book tickets, click here. In just over a week Yorkshire will have headline billing in London’s cultural calendar when Opera North begins a five-day residency at the Barbican. This is a fantastic opportunity for one of our most celebrated organisations to showcase its talent to a London audience, proving why Yorkshire is such a rich, diverse, innovative and artistic place. It’s my job to celebrate and shout about everything that is great about our county. 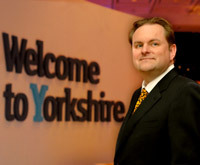 I act as a global cheerleader for our tourism industry and that includes our cultural and artistic bodies, which is why I am delighted Welcome to Yorkshire will be partnering with Opera North during this residency. It provides the perfect platform to not just tell, but to show, an audience how wonderfully blessed we are in Yorkshire to have companies such as Opera North. Yorkshire is less than two hours from the capital and can easily rival anywhere in the UK for a weekend break or a longer stay, so it’s great to have a stage like this where we can literally sing our praises and really put Leeds and Yorkshire at the forefront of people’s minds, especially at this time of year when people are starting to think about next year’s holidays. I’m sure all three shows will be an undoubted success. They will put Opera North centre stage in the capital and encourage more people to think about heading to Yorkshire to experience our wonderfully creative county. I will certainly be there to lead the standing ovations. I hope the audience who will come and see the productions at the Barbican will walk away with one thought: that they need to see Opera North again but next time in Leeds. Opera North’s Barbican residency is supported by touring partners Welcome toYorkshire and Tennants. Butterfly is on the road! After a few weeks in Leeds the whole company is now touring and this week we’re in Newcastle. Last week was Nottingham and next week we’ll be at The Lowry, Salford Quays. It’s always an adventure to take shows around. 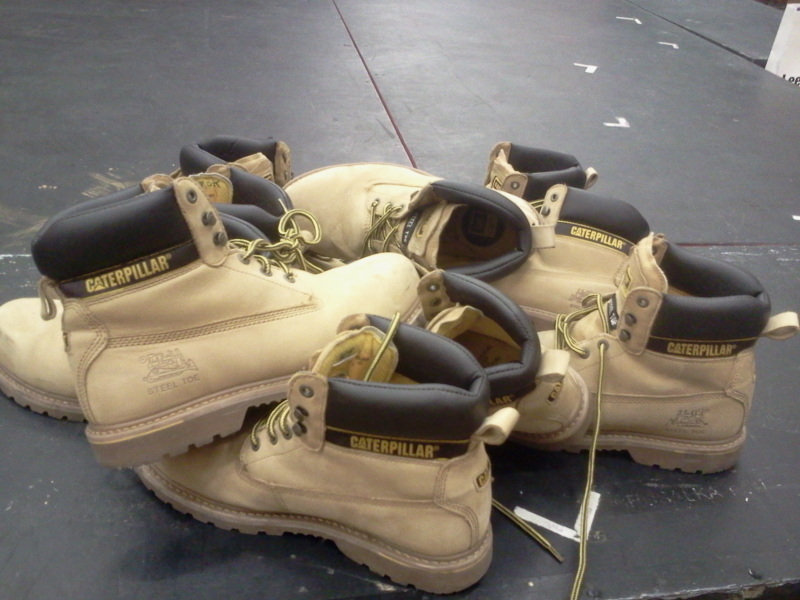 Lots of trucks, different theatres, different acoustics, different dressing rooms, hotel rooms…. I always have a look at the stage when I get to the new venue, the theatres aren’t the same size so we have to adapt and move things around! Sometimes the space on the side of the stage is really small and you have to be very careful with all the cables on the floor and lightings. Every night feels like opening night with all these changes! So yes I get nervous! But I feel lucky to have such lovely colleagues and the wonderful stage and back stage crew to make our journey smoother, they prepare everything and are so helpful! After Salford Quays I’ll get to go home for a few weeks, I haven’t been home for a while so it will be nice and busy! Then I’ll get ready for another run of Butterfly starting in February next year. 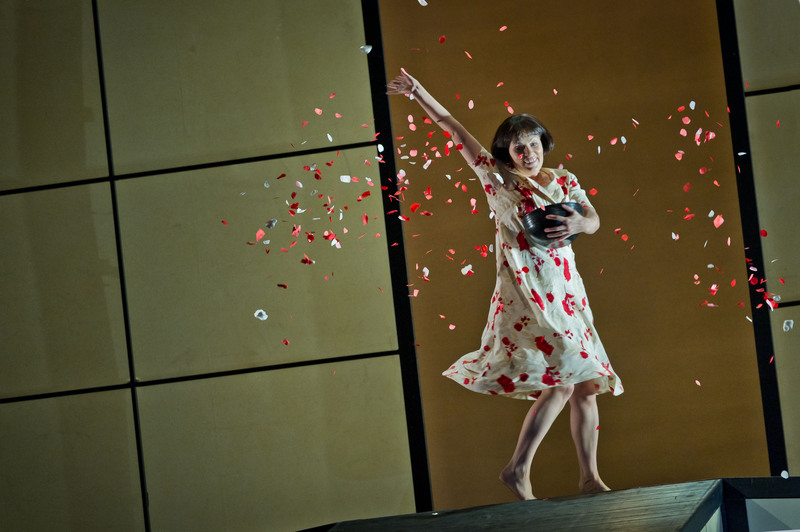 Madama Butterfly is at Theatre Royal, Newcastle on Saturday 12 November and at The Lowry, Salford Quays on 16 & 19 November. For more information go here. The arts, I have learnt, is full of incredibly creative people but a lot of them still haven’t quite come to terms with the possibilities offered by the huge advances in technology we’ve seen in recent years. Culture Hack North will help explore and explain those possibilities and I can’t wait to see what happens. So what is a hack day? Culture Hack takes this format and is an opportunity for us to delve deeper into some of the data arts companies have stashed away, that they and we don’t yet realise has potential online. I have spent the last 6 months organising the first ever Culture Hack North, Culture Hack North: Leeds 2011, which will take place this weekend (12-13 November) at NTI Leeds and is sponsored by Marketing Leeds. Over 50 developers will be working with data from 15 organisations including Opera North, Yorkshire Sculpture Park, Museums Sheffield, Leeds Libraries, the Henry Moore Institute, Whitworth Art Gallery and many more. In addition to the ‘hacking’ there is also a programme of talks with speakers including Rohan Gunatillake (Edinburgh Festivals Innovation Lab), Greg Povey (Mudlark) and Lucy Bannister (Axis). During the day the 50 hackers will split into teams to work on the provided data which can include opening times, location information or programme notes. Arts organisations involved have the opportunity to meet and talk with digital and creative professionals outside the confines of the usual client-agency relationship, which encourages new ways of thinking about the potential of digital and data. The results can be things that we would never have imagined and which would never have materialised without this kind of event. For the hackers there are a variety of prizes on offer for the best ideas plus the experience. I think the most exciting thing about an event like this is you really have no idea what the outcomes will be, who knows what hacks will be made or what weird and wonderful ideas might emerge as a result of the conversations that’ll take place over the course of the weekend. And that’s kind of the point, to get all these people together, to think differently – without the constraints of the office environment and working on a specific project. Culture Hack North: Leeds 2011 is sponsored by Marketing Leeds. The venue is sponsored by NTI Leeds and the event takes place as part of Leeds Digital Festival. The event has been organised by Opera North and Leeds Hack. For more information go here.